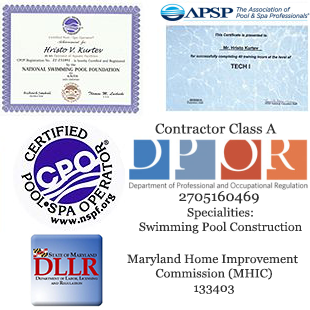 If you live in the DC, Maryland, or Virginia area, then you are probably thinking it is time to get your swimming pool ready for summer. Let’s take a look at a great way to get that pool up and running as well as look at few maintenance tips that can help you keep your pool sparkling clean and operating smoothly. If you have a pool covering, now is the time to take a close look at it for any damage that may have occurred to it during the winter. Those who live in Maryland, DC, or Virginia already know how brutal the winter months can be, and it is during these harsh months that pool covers can suffer damage. While your pool cover is still in place, inspect it carefully, noting any damage. If you find small tears, get a repair kit so you can fix the problem before storing. If the cover does not need repair, remove it and clean it before storing it. Before you fill your pool, remove any winter plugs and skimmer guards. Inspect your skimmers. Fill the pool with clean, fresh water until the level reaches two-thirds up the skimmer face. If needed, replace your seasonal drain plugs and check all of your strainer baskets for cracks before installing them. Before you start your pump, perform maintenance per the manufacturer’s instructions. At the least, make sure that you open all of the lines and clean them from debris (if needed). Before you start the pump, check your filter media to ensure you have the proper levels, and remove any large debris from the bottom of the pool, using a hand skimmer/leaf rake. Removing this debris now will save you on chemical costs later. This is also a good time to ensure that you have all of the chemicals that you will need. Start the pump and backwash. Check for any leaks. If your pool water is cloudy, or you cannot see the bottom of the pool, use a quality clarifying agent. These agents will cause particles to fall to the bottom of the pool where you can vacuum them out. When performing this first cleaning, make sure you clean the walls using a pool brush. Once debris is removed and the pool bottom vacuumed, you should shock the water. This is done by super-chlorinating the water. The easiest way to do this is to use a “shock” product. Follow the instructions as the amount of product to use will vary depending on how much water is in the pool. Important Note: You must have chlorine testing kits or strips on hand to monitor this step. Do NOT allow anyone to enter the water until the chlorine level returns to normal. Once you have completed the shock treatment (and the chlorine level is back to normal), it is time to balance the pool water. You should never add chemicals to the water until you have first tested the water to see exactly what you need to do. Those living in the Maryland, DC, or Virginia area already know how powerful the Sun can be and this requires that the pool water be conditioned. This will help prevent loss of chlorine due to the Sun’s rays. Use a quality stabilizer and carefully follow the product’s instructions. Generally, you will need to dissolve the product into a bucket of warm water before adding it to the pool. The level you want will fall in the range of 30-50 ppm (parts per million). For most pools in the Virginia, DC, and Maryland regions, adding a good quality algaecide is a good idea. This is the best way to prevent algae from forming in the water, and it is much easier to prevent than to treat algae. 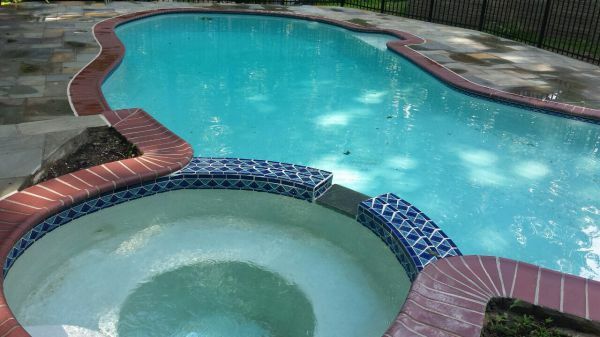 Once the water is balanced and stabilized, you can safely enter the pool. This is also a great time to get your accessories put back onto the pool. Be sure that any accessories, such as ladders or diving boards, are securely attached before they are used. You will also want to make sure that all of your safety equipment is present and in good working order.